This vulnerability impacted two operating systems, the Synology Router Manager (SRM) and the DiskStation Manager (DSM). The device provides functionality to also act as a router with firewall and port forwarding capabilities; as I said, these are not just simple NAS devices. The Synology EZ-Internet application was subject to a DoS attack; by sending a relatively small number of port forwarding rules, about 1,000. It would cause the device to stop responding and required a hard reboot after 30 minutes of waiting. This attack required privileges on the system. I found this one when fuzzing the interface parameters looking for other vulnerabilities and noticed it would lock up the web interface of the system. There is an interesting path traversal issue with an ability to create or overwrite files. By modifying a Create Master Zone message, it is possible to overwrite files in the NAS that have the same permissions as the Master Zone process or create new files. This captured and modified message in Burp, shows the parameter (domain_name) and one possible modification (../DNSZONETRAVERSAL) that can be used to execute the path traversal and create files in various locations on the system. Below is a screen capture of the results showing the creation of the file “DNSZONEPATHTRAVERSAL” outside of the data directory where it should be held. As you can see from some of the other files, I was playing with this to see if I could exploit it in other ways. This attack required admin privileges on the system. The NAS provides some wonderful photo management, sharing and editing software. I was able to find a reflected XSS attack. 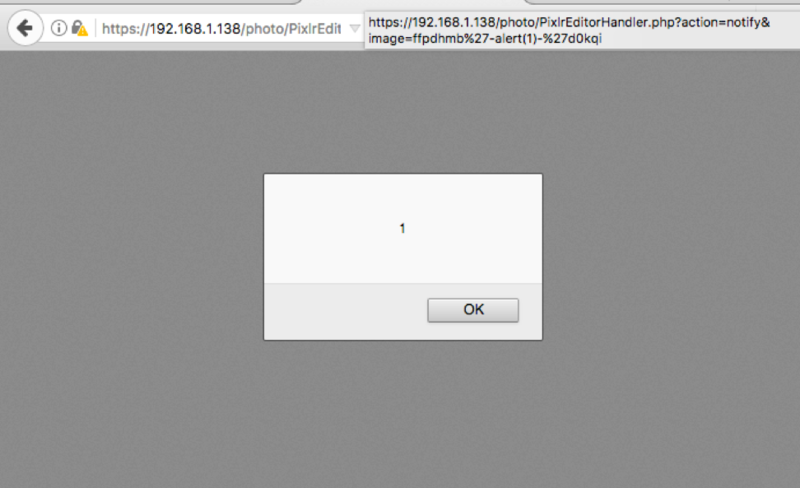 By modifying the image parameter, an attacker is able to trigger a reflected XSS attack. This type of reflected XSS is very valuable as an initial vector when trying to chain attacks together for an exploit. This vulnerability could allow an attack to manipulate users logged into the photo management system but not the admin’s web interface. The photo station software was on a different port from the web admin interfaces and Cross Origin Resource Sharing (CORS) protections in the browser prevented me from utilizing it as an attack vector against web admin’s session. Explain XSS and How to Mitigate It? This is one of my interview questions; almost everyone can explain XSS decently but very few understand how to protect against it. I have heard everything from sanitizing input (wrong) to using ESAPI to filter incoming requests (even more wrong since ESAPI in support mode with no new features and is mostly used for black list filtering), to a few mentioning output encoding (mostly right but context matters) and so far, only one has mentioned Content Security Policy headers. Cross Site Scripting happens when a malicious actor sends a string to a server. This string is delivered to the victim’s web browser and the browser interprets the string as a script to execute. These scripts can perform many different malicious actions on behalf of the malicious actor using the victim’s authenticated sessions. There are three types of XSS. 1) Reflected XSS is when input sent to a server in a request and is immediately returned; an example would be a search parameter whose value is returned in a page. 2) Stored XSS is when the server retains the string and later delivers it when certain pages are viewed such as a posted message in a board or a Name field. 3) The third type, DOM based XSS, is not addressed. It is strongly recommended to utilize a framework that properly and automatically handles output encoding such as Angular and others. There are a few techniques I constantly see being recommended that should be avoided. 2) White List – While OWASP and others say it’s an effective, secondary mitigation, it adds almost nothing in terms of security, can be bypassed on many systems, and can mask the true problems. A) Input coming from complex sources is very difficult in white list. The above XSS image with the XSS in the digital certificate is a perfect example of where input filtering fails to stop XSS. The digital certificate was encoded and the server’s black and white lists did not perform the decoding to validate all internal fields. Sometimes fields must accept an extensive form of data coming into a system that would allow XSS. In other cases, malicious input may come into a system from places other than the web front end, such as log files, file names, machine names, etc. Input filtering on the web front end would not stop these attacks. While input filter is critical to stop many types of attacks, it is just not an effective mitigation for XSS. B) Proper output encoding based on the context and a strong Content Security Policy (CSP) is going to cost your developers time; they both must be done and will fully mitigate any XSS issues. For most teams I have worked with, developer resources are stretched thin; asking them to perform work that is not needed is wasteful. Do not waste your developers time with unneeded mitigations. There are some cases where white listing can be effective, such as when some selective markup is allowed, such as a message board, but these cases are rare and extra caution needs to be taken to make sure it is done safely. 3) Encoding data on Input – This fails because different encodings are needed based on where the data is being placed. At the time of development, it is impossible to know all possible later usages of the input. Likewise, in many systems, data comes into a system from sources other than the web front end (such as log files). Relying on Web Application Firewalls (WAFs) – While I strongly support using a WAF, it is a very good Black List but can (not easily) be bypassed; it is a secondary measure to protect against XSS (although it does much more than just XSS). Do not rely on a WAF; use output encoding and CSP. Also, not all WAFs are created equal. Many automated tools do a great job at providing broad coverage for XSS but they are not nearly as skilled at bypassing filters as a human. A half decent Black List can stop any automated scanner, such as Burp or AppScan, looking for XSS but will not protect your system from true attacks. Since the first line defense against XSS is proper encoding based on the context of the output, the testing needs to find any output that isn’t being properly sanitized. In a non-production environment, disable CSP, WAFs and any input filters; by disabling these secondary protections, testing tools will have an easier time finding fields were the output isn’t being properly encoded. Do not forget to re-enable the secondary defenses before pushing out to production. Note: Do not test in production, Stored/Persistent XSS can be destructive and cause problems for those viewing your site and will give strong hints to attackers there is a potential weakness (amongst other issues). Mitigate XSS with proper output encoding/sanitization based on the context where the data is being places; the best way to do this is to utilize a framework that automatically handles the output encoding for you. Utilize Content Security Policy as a strong, secondary measure. When testing for proper output encoding, disable all input filters such as white lists black lists, WAFs and remove CSP. This entry was posted in XSS on March 13, 2018 by admin. When pen testing web interfaces and REST APIs for mobile apps, intercepting the messages in Burp can be difficult, especially for those apps that do not respect the http proxy settings. The following guide will help you proxy all the information from your mobile device to a Mac and route specific messages of interest to Burp. We will setup a Mac to act as a proxy and route all of the mobile device’s data. 1) Both of the devices need to be on the same network/subnet. 2) You have Burp and know how to use it. 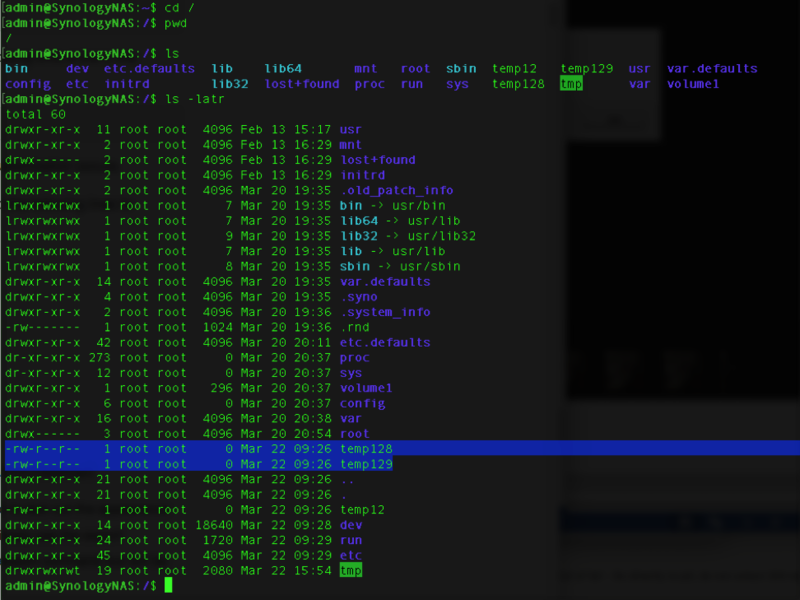 3) You are familiar with basic routing; working with network settings on you mobile device and OSX command line. 3. Goto Proxy -> Options and select the 127.0.0.1:8080 Proxy Listener and “Edit” it. 4. In the “Edit proxy listener” window, select the “Request handling” tab and enable “Support invisible proxying” and then select Ok. Note: You may also need to change the “Bind to address” under tab Binding to “All interfaces”. 5. While probably not necessary, I like to reset the Proxy Listener. Goto Proxy -> Options and uncheck and then check (selecting twice) the Running status for the 127.0.0.1:8080 Proxy Listener. In OSX’s System preferences, under Security & Privacy, turn off the firewall. We will be forwarding all the data from the iOS device to the Mac and the firewall will prevent us from receiving. Do not forget to re-enable to firewall when you are done. This command will prompt you for your password and tell the Mac to forward any data it receives to where it needs to go. This command will route messages from your mobile device using port 80 to Burp. Remove the ‘(Device IP Address)’ and put your mobile device’s IP address in its place. If you wish to route different ports (say 443 for https messages), then change 80 to the desired port. If you wish to route both 80 and 443, then change the 80 to 80:443. Note: the ip forwarding and rdr settings will not persist after a reboot but the firewall will remain disabled. Goto the wireless connection’s settings; in iOS, this is under Settings -> Wi-Fi and select the blue circled i. The device cannot use DHCP but you must configure all the settings manually. Select the “Static” tab and set the device’s IP address (the same as in the above rdr setting), subnet mask and DNS setting. 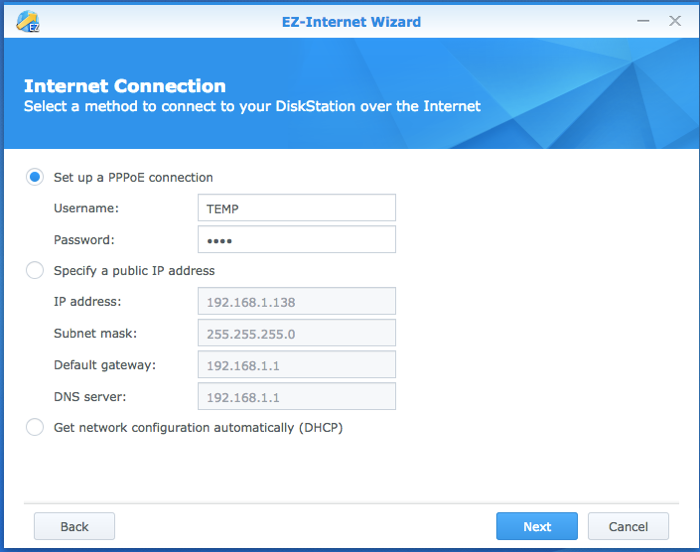 For the Router (or Gateway on Android), set it to the IP address of the OSX Mac device running Burp. This will force the mobile device to send all of its data to the Mac. On the iOS device, open a web browser and go to a web site that is on port 80; drudgereport.com should work. In Burp’s Proxy -> HTTP history, you should see the requests to the web site from the iOS device being captured. Now that you are capturing the messages, you can utilize Burp’s capabilities for testing. This entry was posted in Burp, testing on May 6, 2017 by admin. In a reflected XSS attack, what is sent to the server is immediately reflected back to the user. It allows an attacker to embed scripts that will force the victim to take action on behalf of the user. If a victim triggers the above URL, the Reflected XSS will execute the action in the script tags on behalf of the attacker but with the victim’s account. One of the ways a victim can trigger an attack is through social engineering such as a targeted email or embedded link. The problem arises that if you want to do anything meaningful on the system with the link, it tends to require a long script, producing a very long URL. A long URL decreases the odds of such social engineering attacks. In a double reflected XSS, we will present the Reflected XSS with a short URL that will forward to an offsite script, which will then forward the user back to the same Reflected XSS vulnerability but with the long script actions embedded. This presents a URL that is nice and short. The URL shortener reditects the iframe to a text file like pastebin. The pastebin file contains a a script that will run in the iframe and forward the user back to the Reflected XSS. This is an example of a script one could put on pastebin that will redirect the user back to the reflected XSS but allowing the insertion of a much longer script. Using the same vulnerability with the Reflected XSS, the attacker is now able to execute the long, multi-step script in the iframe. Here is an example of a script that will grab the CSRF token in a device’s cookie and then embedded at the end of a URL that will insert a new user. The script then changes the iframe’s location again to be the location of the URL to add a new user. In this manner, a long script can be hidden from the social engineering link. This iframe, redirect method can also be used with stored XSS where the number of characters available is limited. This technique is how I was able to exploit a stored XSS with very limited characters for my DefCon 23 Packet Hacking Village presentation. This entry was posted in Uncategorized and tagged XSS on April 10, 2017 by admin. Recently, there was a paper of an attack against SHA1 and its usage as a long lived cryptographic hash for digital signatures and file verification. (https://en.wikipedia.org/wiki/Cryptographic_hash_function). This being said, it does make it easier to find the information but I do have a few complaints about the hype and melodrama at their website. “We have broken SHA-1 in practice.” when in reality, what is broken is SHA-1 for digital signature and other long lived hashing verification; there are still many usages of SHA-1 that are safe. Does this mean there are computationally less expensive attacks? If so, what is then novel about this paper other then they named their attack and put up a cool web site? After a bit of digging, it looks like the less expensive options required certain pre-conditions that may not be readily available in real world scenarios. What are the implications beyond digital signatures and other long lived cryptographic verification? Since IPSec encrypts and then does an HMAC, the HMAC is exposed in the clear unlike xTLS. The HMAC is also used to protect the ESP header which includes the IPSec packet sequence number. IPSec uses an incrementing sequence number to prevent attackers from injecting older messages into the stream of packets. If one wanted to modify the sequence number, they would need to also modify the HMAC such that a check of the HMAC would indicate the packet is safe. IPSec’s HMAC is exposed unlike xTLS, but is still probably safe for now as long as the IKE rekey sequence is anything sane. IPSec will negotiate a new session key between the sender and receiver utilizing a protocol referred to as IKE; this also resets the sequence number. From my quick digging, it looks like the Linux default ikelifetime value is 8 hours with a maximum of 24 hours. Since the attack still requires multiple days to achieve and because of the short-lived nature of the packets, (The attack still requires 2^63 checks) IPSec is probably safe. Additionally, the shattered attack requires the ability to manipulate some of the hashed data so as to create a collision. The ESP packet field does not offer many places to do this and altering the encrypted data section would corrupt the underlying information. I think IPSec is safe for now… I assume the same holds true for SSH. Passwords: This gets interesting as the paper outlines a collision technique. The idea would be to generate a password/string (could be the same or not) that combined with the salt would generate the same hash as stored in a system. What I don’t understand is the mutli-iterations used by PBKDF2 effects on the collision technique. When passwords are stored, each is combined with a unique string and then hashed multiple times (10,000+) to increase the work factor if someone attempts to break them. I do not think they have yet published the math behind the attack and it is a bit beyond my time budget to understand, so I am not sure. It is interesting to note that on x64 system, SHA512 is faster than SHA256. Given the speed difference in GPUs and CPUs and the desire to increase the work factor to help prevent brute force attacks, SHA512 should be used in multi-iteration hash functions like PBKDF2 to protect passwords even if SHA1 is still safe. Analyzing the Shadow Brokers text. There are several tools available that will examine the word choice, phrases and grammatical structure of text and provide analysis of the writers/authors. I am fairly certain that the way we express information is fairly unique and that algorithms today are linking materials posted in various venues together and attributing them to particular individuals. This analysis is baby steps on comparison and just for fun; the tools are far from precise and the text sample length is far too short. I also suspect that it was purposefully modified to try and remove identifying signatures, but let’s see what we can find. We auction best files to highest bidder. Auction files better than stuxnet. Auction files better than free files we already give you. The party which sends most bitcoins to address: before bidding stops is winner, we tell how to decrypt. Very important!!! When you send bitcoin you add additional output to transaction. You add OP_Return output. In Op_Return output you put your (bidder) contact info. We suggest use bitmessage or I2P-bote email address. No other information will be disclosed by us publicly. Do not believe unsigned messages. We will contact winner with decryption instructions. Winner can do with files as they please, we not release files to public. From looking at the text, the sentences are very short and lack proper grammar. (please excuse my own) Two times commas were used correctly in poorly worded sentences and twice it was used incorrectly to join two sentences. Many of the sentences are very short but linguistically, I am not sure this points to translation issues. This tool reports that there are not enough words for a good read with only 215 out of the suggested minimum of 300 words. So a point to consider, was the amount of text purposefully kept short to limit exposure. The tool rated the text author as overwhelmingly male (85.9%) for informal writing but for formal, it would be female (75.21%). Overall, the text rated highly on Anger (0.74), Extroversion (0.98) and Agreeableness (0.95) and interestingly, but probably not surprising very low on Openness (0.03). 0.47	How much you pay for enemies cyber weapons? 0.44	When you send bitcoin you add additional output to transaction. 0.38	Do not believe unsigned messages. 0.38	Winner can do with files as they please, we not release files to public. 0.36	You write many words. 0.34	No other information will be disclosed by us publicly. 0.33	We hack Equation Group. 0.32	We follow Equation Group traffic. 0.11	You break many things. 0.10	But not all, we are auction the best files. 0.10	Auction files better than stuxnet. 0.07	We will contact winner with decryption instructions. 0.07	We auction best files to highest bidder. 0.99	We give you some Equation Group files free, you see. 0.99	We will contact winner with decryption instructions. 0.99	We hack Equation Group. 0.99	We follow Equation Group traffic. 0.98	Auction files better than free files we already give you. 0.98	We auction best files to highest bidder. The first I tried is the Sentiment classifier and it gave it a slightly negative rating (56%) over positive (44%). GenderAnalyzer_v5 gave the text a male (77%) classification. Ageanalyzer struggled a bit, producing an age range of 65-100 with a 31% rating; next was a 24% rating for age range 26-35. Mood was analyzed to be 95% Happy. While there are a rather large number of classifiers available, this last one from uClassify, I found interesting, Value. It rated the text as Exploitive (44%) and Achieves (22%). The authors are taking advantage of what they found and bragging about it. While not surprising, it was interesting to see the tool pick up on it. One of my favorite ways to bypass XSS input filters is with Unicode characters. What happens is the string like “%26#60;script%26#62;alert(1);%26#60;/script%26#62;” is sent to the server. The input filters find nothing wrong with it so it passes through fine. When it hits the web server, it attempts to normailze the characters and subsitutes approximates. So &#60; or &#x3c; will become “<“. Here are a few Unicode strings that I will try out. This entry was posted in XSS on June 11, 2016 by admin. Too many pin and passwords and I forgot the Pin for the Restrictions setting on our family’s iPad. Apple used to store it clear text in the iTune backup, but now its just slightly harder to find. Where DEVICEBACKUPFOLDER will be a 40 randomish character string – There will be a DEVICEBACKUPFOLDER folder for each backed up device. If you do not see the /Library/ directory, select the “Go” tool bar menu and then press and hold the “Option” key; it should toggle/show a “Library” option you need to select. The two data values will be different for your device; this is the stored pin. I did not change the values in the above; I set a temporary key to use in this example so you can test this yourself. and select “Search for Code.” It will attempt to brute force all possible code combinations until it finds a match; this could take a while to grab a coffee. In the above case, pin it will find should be “1111”. Want to learn more about XSS attacks – well the best way is probably to try some yourself. Here are two sites that offer XSS games that allow you to test and improve your skills. 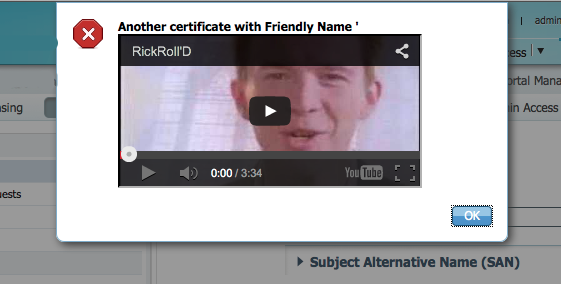 It will add an embedded iframe for the youtube video Rick Roll. 🙂 Its always amusing to see all the places I can get a Rick Roll to appear. BTW, to keep the link from rendering, I had to HTML endode < to &lt;, and for good measure also change > to &gt; and change the & in &lt; to &amp;. This entry was posted in XSS and tagged XSS on February 20, 2015 by admin.